This film has some controversy surrounding it for being anti-Catholic; I think I watched a different film. Philomena (2013) is a film by Stephen Frears, of High Fidelity fame, about the scandalous treatment of unwed pregnant girls by Nuns. Journalist Martin Sixsmith has been dismissed from his job in disgrace. While searching for purpose in his life, he tries to get in shape and toys with the idea of writing a book on Russian history. At a party, he hears to story of Philomena Lee and how her son was taken from her against her will. Together they go on a search for the boy she lost. This film does not portray the Catholic Church in the best of light but portrays Philomena as perhaps the most devout Catholic in the film. I think that's where the disconnect is. The evil things done are clearly a result of human vices. Philomena Lee is a passionate woman who ended up in terrible circumstances. 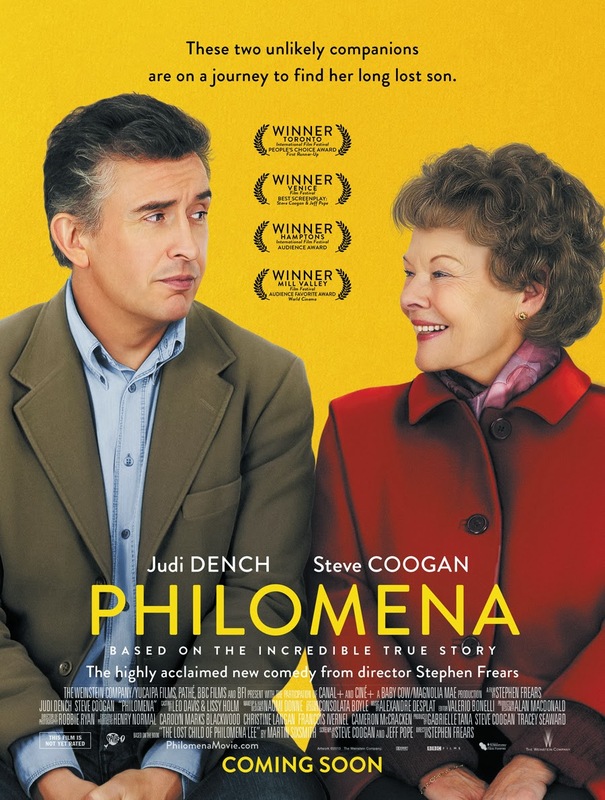 Philomena is the title character but not the main character. She remains almost as mysterious as her son for good portions of the film. She is insistent that the nuns who took her son are not 'evil' and refuses to allow Martin to sensationalize. 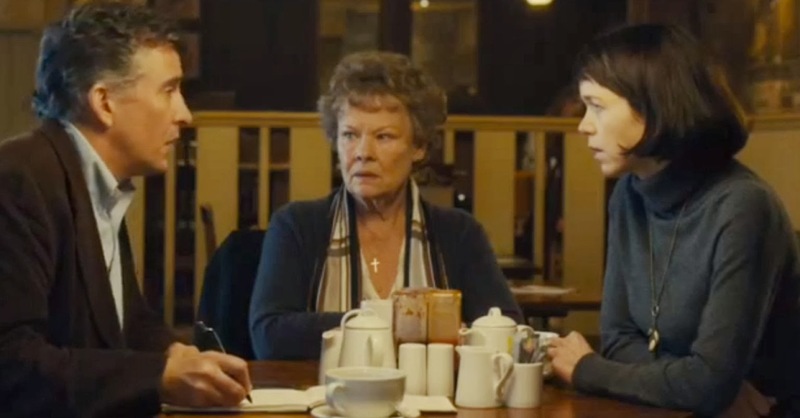 Dame Judi Dench has received Best Supporting but not Best Actress before; as such, I think new is her time. There could not be a better role for her to win for. Martin Sixsmith is a journalist who is searching for the truth. He's serious and initially just uses Philomena for the story. Over time he learns that there's quite a bit more to the little Catholic woman with the romance novels. Sixsmith's own journey is the thrust of the story and perhaps more interesting than Philomena's. A real crime is that Steve Coogan didn't get any nods for his performance though he did get one for this fabulous script. He co-wrote and executive produced this feature and clearly put a lot into the role. From the north of England to Washington D.C., the search is brought alive by beautiful scenery. Even the little restaurant that Martin meets Philomena at is cozy. A fantastic final confrontation between Philomena and the nun who took her son. It also has one of the funniest additions to an end summary ever. 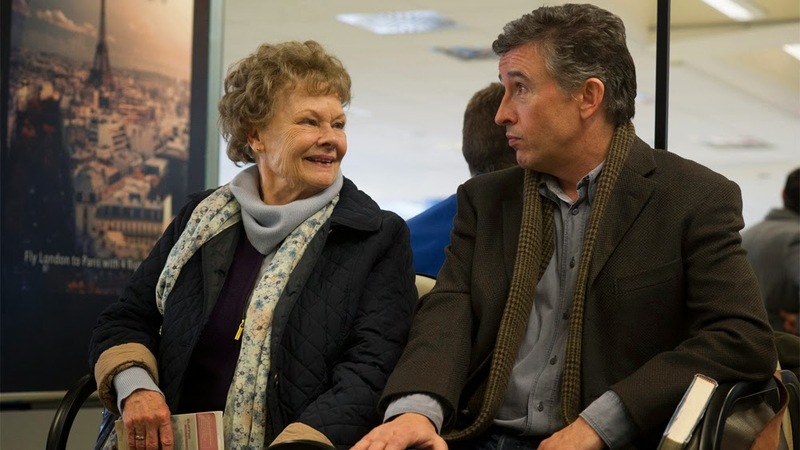 Philomena manages to balance tough religious issues with comedy. The best part of this tale is that they find her son in the middle of the film, and the journey afterward is far more enriching than the start. This has a much deeper take on religion than Gravity, so come here for a complex look at religion. Next Time: Nominee Number Four should be a surprise.